1.) 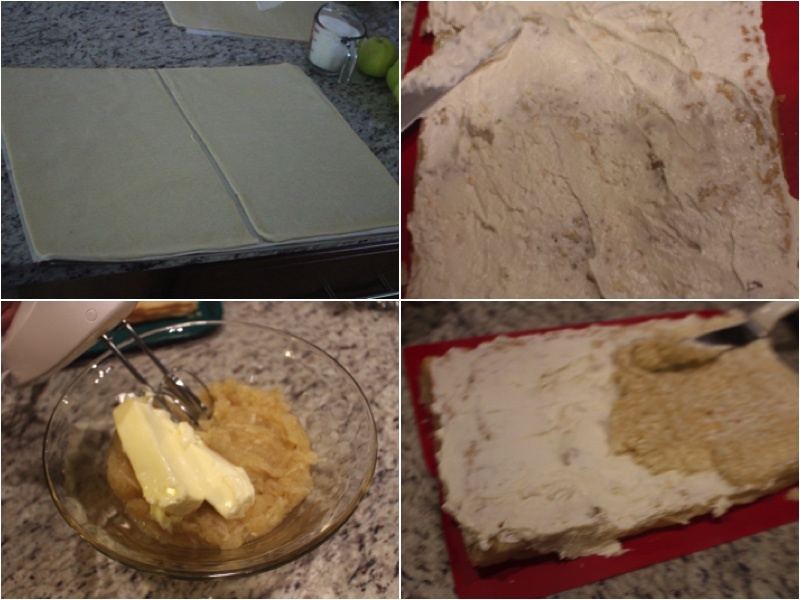 To start the recipe place your 4 sheets of puff pastry dough on parchment paper (2 on each paper) place on a cookie sheet and bake for 30 minutes on 350ºF. When done baking let them cool off on a wire rack. Beat your heavy cream until you have cool whip. Continuing, Wash, dry, peel and shred your apples. Place into a large pot and add your sugar, cook for 30 minutes while mixing often. Let it cool down in a cold area, add your butter and beat it with a hand mixer for a few minutes. 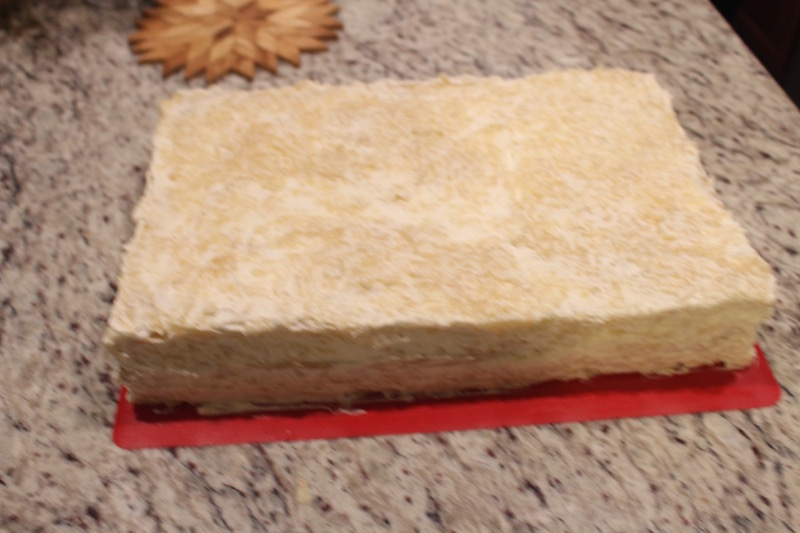 Using a spatula spread your cream on the first layer, next spread your apple cream on top and repeat the process with your other 4 layers. 2.) 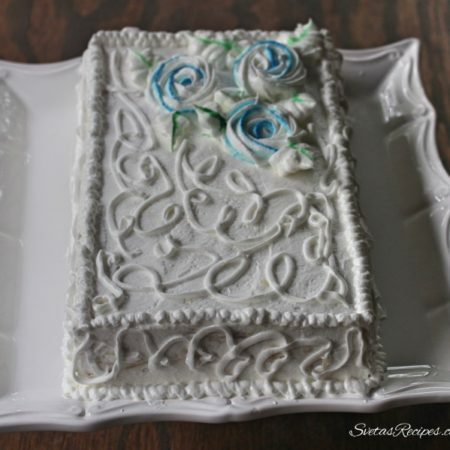 Cover the top and sides of your cake with cream, decorate and enjoy! 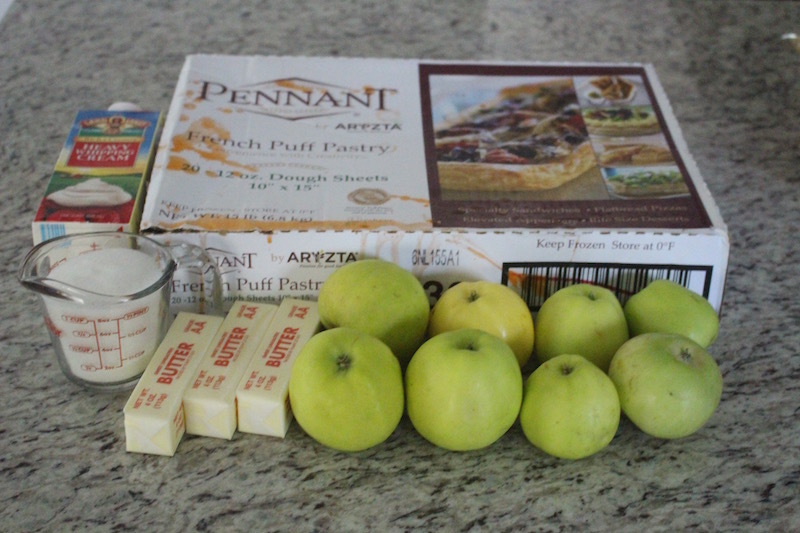 To start the recipe place your 4 sheets of puff pastry dough on parchment paper (2 on each paper) place on a cookie sheet and bake for 30 minutes on 350ºF. When done baking let them cool off on a wire rack. Beat your heavy cream until you have cool whip. Continuing, Wash, dry, peel and shred your apples. Place into a large pot and add your sugar, cook for 30 minutes while mixing often. Let it cool down in a cold area, add your butter and beat it with a hand mixer for a few minutes. Using a spatula spread your cream on the first layer, next spread your apple cream on top and repeat the process with your other 4 layers. 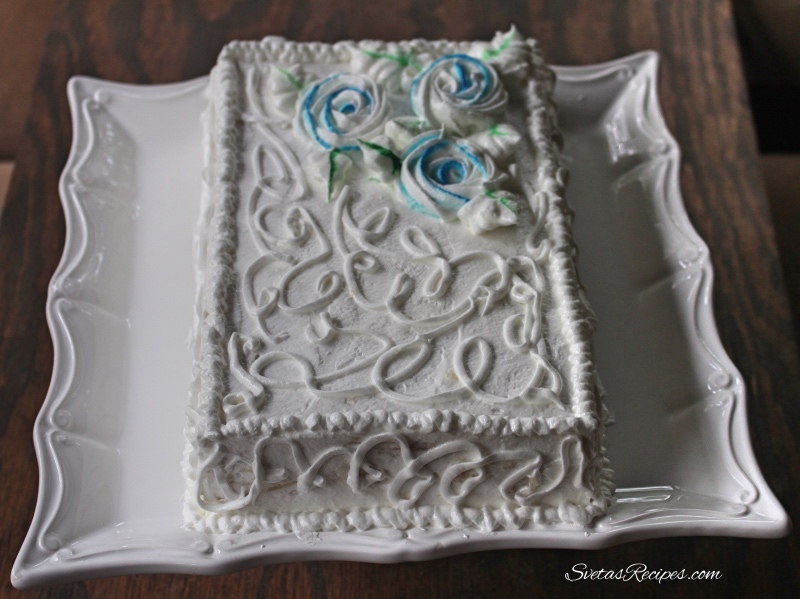 Cover the top and sides of your cake with cream, decorate and enjoy!